A beautiful new way to display the results of a genetic family history test has been created for the millions of people who are getting to know their ancestors through DNA testing. 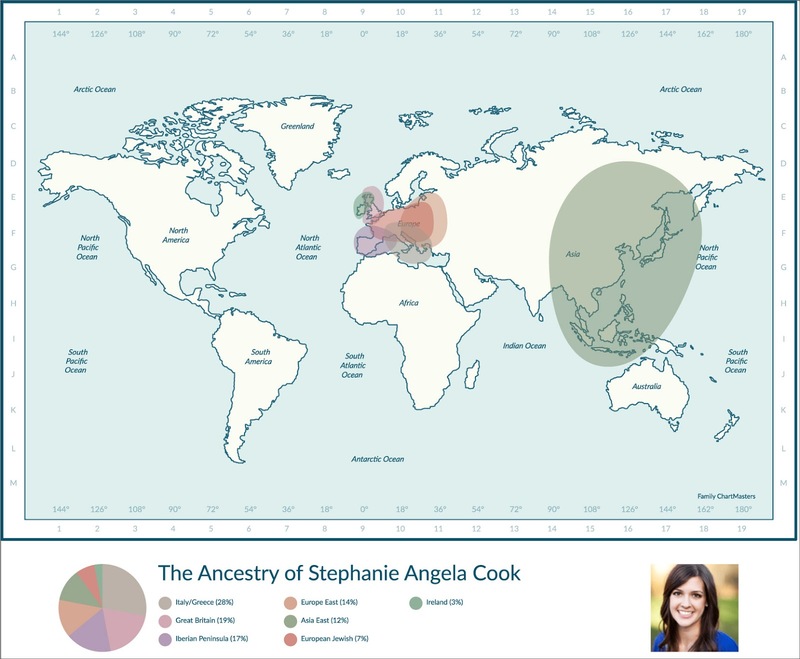 Family ChartMasters, the genealogy chart printing leader for over 15 years, has designed a new DNA ethnicity chart to help family history enthusiasts show off their genetic heritage. 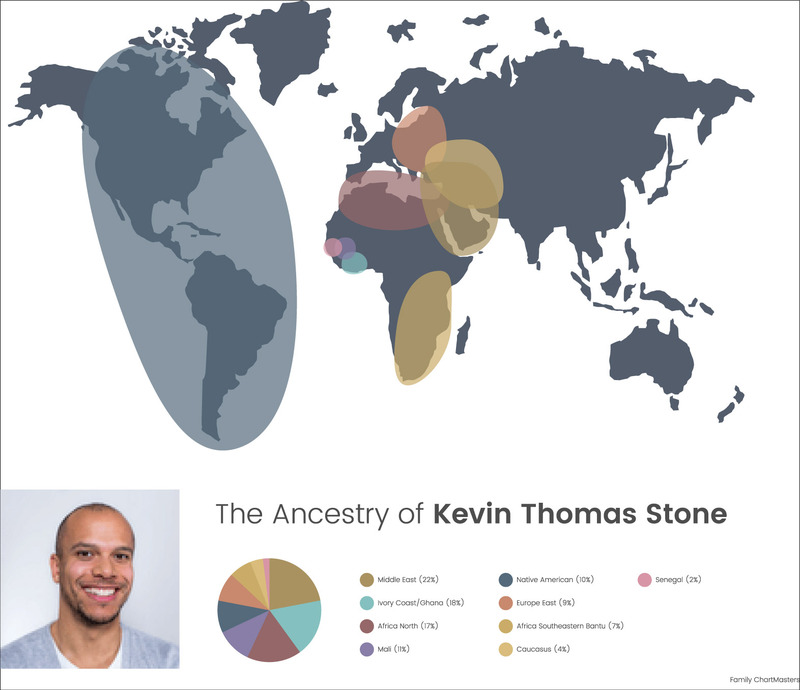 "We hope that this new chart will help people who have become curious about their genealogy through DNA testing become even more excited about searching out their ancestors," says owner Janet Hovorka. "At Family ChartMasters we believe that family history can save the world. The more people know about their background, the more they are inspired with civility, gratitude and compassion for other people because they find out we are all more alike than different. We want to help people make that easy to remember every day." The new DNA chart comes in three styles, Basic, Modern and Antique, to fit different décor styles. 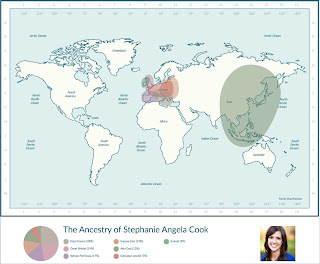 In less than five minutes a person can enter the ethnicity estimates from their DNA test (currently aligned with Ancestry's DNA regions), and upload an optional photo. After viewing a preview, an order can be placed to print the chart on archival Professional Paper or Artist's Grade Canvas. 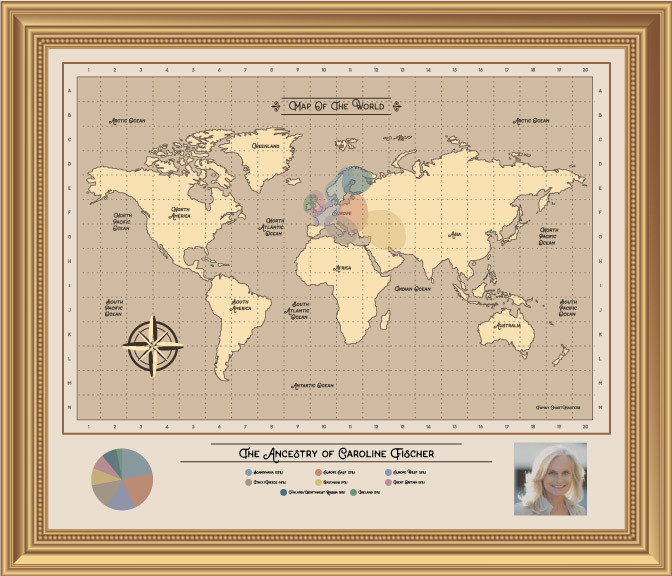 Following Family ChartMasters' proven track record of superior service, the beautiful print will arrive rolled in a tube and ready to frame. PDF downloads are also available for immediate delivery to an email inbox. Pricing starts at $19.95. Genealogists will find this chart to be an easy and meaningful gift for a family member who has helped them with their research by taking a DNA test or for family members who are interested in their ethnic makeup. "We love helping family historians share their findings,"
says Hovorka. "Just like all of our other genealogy charts, this new DNA chart will help families bond over their common roots and appreciate their heritage." Order your DNA chart today!